Dr. Lesley K. Gilbert graduated from Indiana University School of Dentistry in 1986. She has enjoyed serving the residents of Greenfield and surrounding communities for over 20 years. Dr. Gilbert attends a vast number of continuing education seminars each year and is a member of the Indiana Dental Association, Indianapolis District Dental Society, American Dental Association, and Academy of General Dentistry. 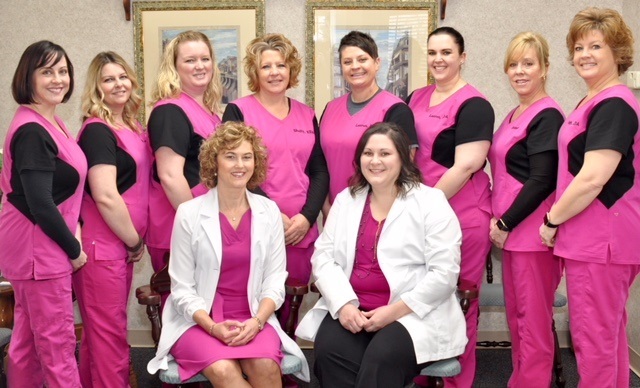 She also participates in numerous efforts promoting excellence in oral health through local agencies, schools, hospitals and annually in the Give Kids A Smile program, through the American Dental Association. Dr. Gilbert's family enjoys an entensive love for dentistry. Dr. Gilbert's huband, Gary, is a retired Oral Surgeon. He taught at Indiana University School of Dentistry and practiced in Greenwood, IN for many years. Their legacy continues as their son, Grant, has aspirations to follow in his parent's footsteps pursuing a career as a dental specialist. Melanie started out as a childhood patient of Dr. Lesley Gilbert. 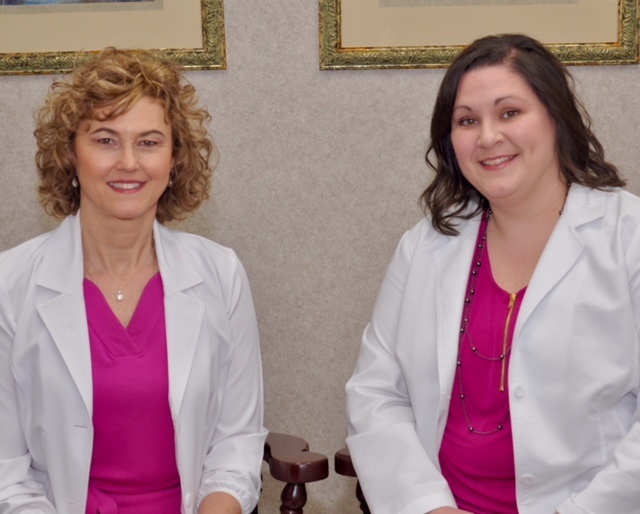 After graduating hygiene school, Melanie joined our practice in 2008 as a full-time hygienist before heading back to Indiana University School of Dentistry, where she became an Indiana licensed dentist. It is wonderful to see her relationship come full circle, and it is our pleasure to welcome her as an Associate Dentist! Here she will help provide the same level of compassion, lightheartedness, and high-quality care our patient's have grown to expect. Melanie attended Pendleton Heights High School and has extensive ties to the community in both Hancock and Madison Counties where she resides. While working as a dental hygienist, she developed a passion and skill for dentistry that led her to expand her education. Under the mentorship of Dr. Lesley Gilbert, Dr. Melanie Jones realized her professional dream of becoming a dentist. Although this took a great deal of dedication and perseverance, it still seemed easier than achieving her personal dream of becoming a Harlem Globetrotter. Dr. Jones is enjoying getting to know the new patients in the office while simultaneously re-acquainting herself with the longstanding patients of our practice. She has truly committed herself to general family dentistry, and she’s ready to take on cavities to cosmetic veneers for the young to young-at-heart. When Melanie isn’t being a superhero dentist, she spends her time chasing her one-eyed cat and practicing her “Snapchat” so her teenage daughter thinks she’s still cool.